Gardening is one of life’s little luxuries and having a garden you can make look wonderful is simply satisfying, especially if you have a green thumb and a knack for colours. Spending time in the garden making it look beautiful is therapeutic and hard work all at the same time. For a low maintenance garden, you can lay the whole area in paving slabs or have a pebbled ground put in. Flower borders frame a low maintenance garden so nicely! One of the greatest debates in gardening comes down to the grass you use. 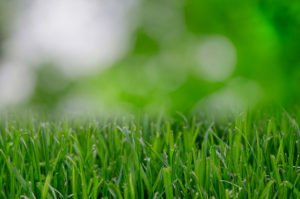 If you prefer a grassy lawn in your garden, you will be looking at the options that are easiest for you. The idea of grass outside that you can hoover and clean using a pressure washer may seem laughable, but with artificial grass, this is exactly what you get. For both the home and in business settings, artificial grass is becoming far more popular. Large estates for weddings and events tend to have beautiful, lush green lawns and an all-round feature can be difficult given the weather. Understanding the pros and cons of natural grass versus artificial grass starts what can only be called the great grass debate. The assumption that fake grass does not look as realistic as real grass depends on where you buy it and how cheap you buy it. The higher quality products on the market will be harder to distinguish from the real thing so you get what you pay for when it comes to the artificial stuff. This one is a little obvious in that it will cost you more money to install fake grass than it would to plant a whole new lawn. You must factor in the size of the lawn and that can ramp up the cost if you are looking at having it professionally laid – as well you should! Grass seed isn’t expensive in the slightest and while you may have to put in a little hard work, it can be planted easily enough. The one con about natural grass is the way you maintain it. You have to make choices between Mountfield mowers, self propelled & push rotary lawnmowers to get the best maintenance option for your grass. There are many tools out there you can use for your grass and if you have artificial grass, you will rarely need them. However, that can also take the joy out of caring for your garden, especially if you enjoy mowing the grass! Artificial grass has a fifteen-year lifespan in most cases, but if you aren’t taking care of it properly then it won’t last as long. So, in the great turf war, which one is the best? Unfortunately, we can’t tell you that! It’s totally down to individual preference and circumstances. If you are too busy for your garden but want something beautiful, you’ll love the fake stuff. If gardening is your hobby, don’t cut it short by stopping yourself from cutting the grass!